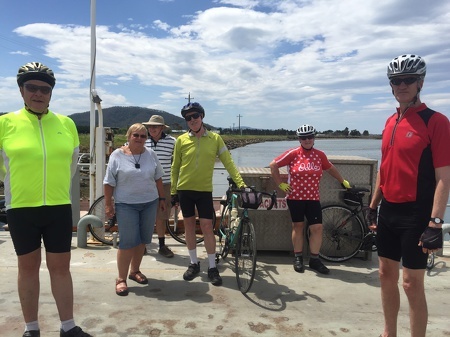 It was a very hot (38o) and windy (40kmph) afternoon and only 4 people joined ride leader David Vasey on the ride to Comerong Island. 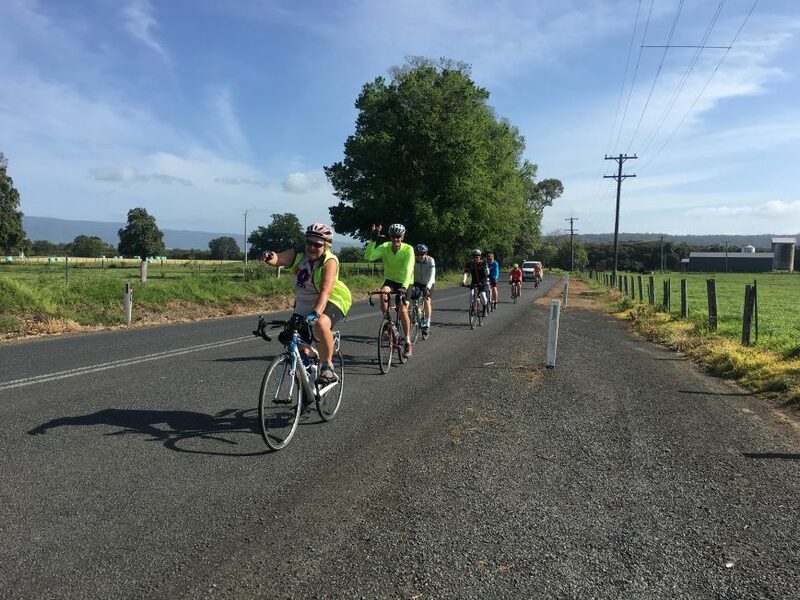 While the weather was harsh, the route was flat with little traffic and lots to see from poddy calves, dairy farms and the shores of the Shoalhaven river. 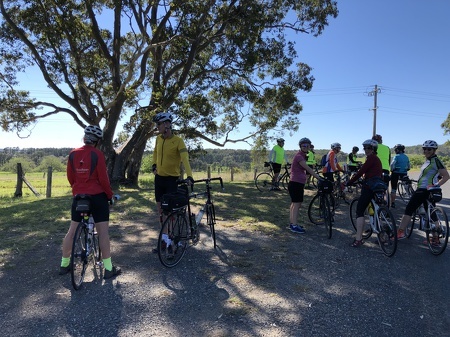 Riders also enjoyed a quaint ferry ride to the island, an easy to ride (slowly) gravel road and were rewarded for their efforts in the heat with great views, a paddle in the ocean and refreshments supplied by the ride leader – fresh water, apples and bananas. (there is no truth to the skinny dipping rumours!). There was an advanced group who travelled to the Island in the morning hoping to beat the heat and wind but alas suffered from a blistering bright sun and lack of fresh water. A group dinner was enjoyed that night at Kohli’s Indian Restaurant, Nowra. What a difference a day makes. Saturday morning started out cool with little wind. 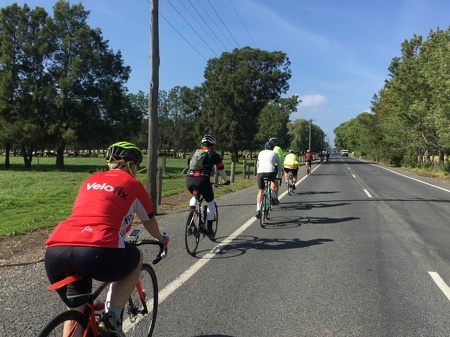 20 Riders set off to Berry with ride leader David Vasey. The route to Berry was on back roads and rolling (little) hills. As we climbed we were rewarded with great district views over the Shoalhaven River. The town of Berry is touristy but with lots of cafes and shops for the group. Only two riders left the group in Berry for a car trip back to Nowra. We left Berry via Beach Road with more rolling hills to Gerroa Road and the long flat ride back to Nowra. At one of the regroups, there was a long discussion about whether the description of a few sticks on the shoulder was accurate as the shoulder was blanketed with twigs, sticks and large branches that the group was doing a conga line dance to avoid the worst of them and the passing traffic. We were back in Nowra with plenty of time for an afternoon nap and light refreshments before another group dinner, this time at the Bombaderry Bowlo. Another scenic ride along the Shoalhaven River to coffee (& fish & chips) at Greenwell Point. The ride back to Nowra was fast and furious given a good tail wind. This ride ended with more coffee & cake in Nowra.